The Force India team is “delighted” at securing fifth place in the constructors’ championship, the highest finish the team has ever achieved in its eight-year history in Formula 1, according to deputy team principal Bob Fernley. 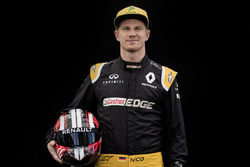 Nico Hulkenberg’s sixth place finish in the Brazilian Grand Prix means the team is now on 120 points and cannot be overhauled by Lotus or Toro Rosso, the teams that currently sit sixth and seventh in the constructors' points table. It also improves on the team’s previous highest championship position of sixth, which it achieved in 2011, 2013 and 2014. Speaking after the race in Interlagos, Fernley said: “Everybody in the team is delighted that we have secured fifth place in the championship with a race to spare. The bulk of Force India’s points have been scored since the team introduced a B-spec car at the British Grand Prix back in July. 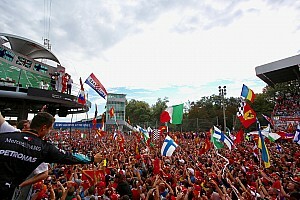 Since then, the squad has racked up 89 points, of which 55 have come courtesy of Sergio Perez and 34 from Hulkenberg. As well as being the team’s best ever championship result, Force India are also set to gain financially as fifth place means it will receive $63m in F1 prize money. Force India also maintains its position on the F1 strategy group just two months after it jointly launched a complaint to the EU, alongside Sauber, relating to the way the sport is run. There is also speculation that the squad could be rebranded as Aston Martin for the 2016 season with team boss Vijay Mallya recently admitting that he would be willing to change the team’s name as the Force India moniker had served its marketing purpose for Indian motorsport. As part of that potential deal, alcohol conglomerate Diageo is in discussions with Mallya to unravel some of their drinks business activities, which could see Johnnie Walker sponsorship appear on the car next season. 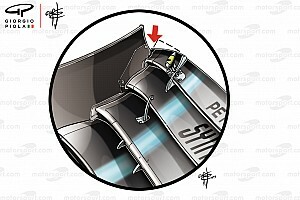 The new funding would boost the team's chances of making a further step up to go on and challenge Williams in 2016. Mallya said: “I could have easily named [Force India] Mallya F1 or Kingfisher F1 or whatever. "I said Force India because I wanted to fulfil aspirations of all the motorsport enthusiasts in India who never could have even dreamed there would be an Indian F1 team on the grid. "That was the objective and I've fulfilled that objective. We've fulfilled the objective over eight years." 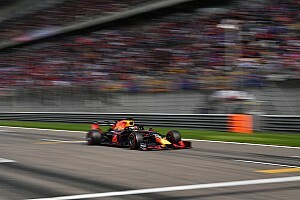 After his run to sixth at Interlagos, Hulkenberg also praised the team’s progress in 2015 and was delighted with the aggressive strategy it employed to help him move in front of Daniil Kvyat’s Red Bull in the race. He said: “I’m very happy with sixth place and with scoring the points that helped the team secure fifth place in the championship, which is great news. It’s the best result in our history and shows the progress we have made over the years. “This fifth place is a result of all the hard work from everybody in the team and we should feel very proud of what we have achieved together. 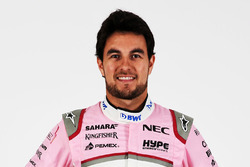 Perez, who scored the team’s best result of the season with third place at the Russian Grand Prix, explained that he struggled with the set-up of his car before the race in Sao Paulo, where he could finished 12th, only the second time he has been out of the points since the Belgian Grand Prix. “Today's result, however, should take nothing away from what has been a great championship so far. The team has now finished fifth, so there are a lot of positives to celebrate. What have you made of Force India in 2016? Will the team improve further next season? Leave your thoughts in the comments section below.